Absolute-Watersports is the shop for all your Wakeboard needs. We are the cheapest online with a Price Match Guarantee! We have massive stocks of Board Shorts and Walk Shorts for wakeboarding by Liquid Force, Hurley and Analog. For Surfing Oxbow, Quicksilver, Bilabong Boardshorts and boardies are just superb. Delivery in the UK and Worldwide shipping no problem. Liquid Force Board Games Boardshorts in Green, 32" waist. Liquid Force FIGLEY Wakeboard Boardshorts - great on and off the water. Black 28" waist. Liquid Force Stealth Boardshorts in Blue, 32" waist. 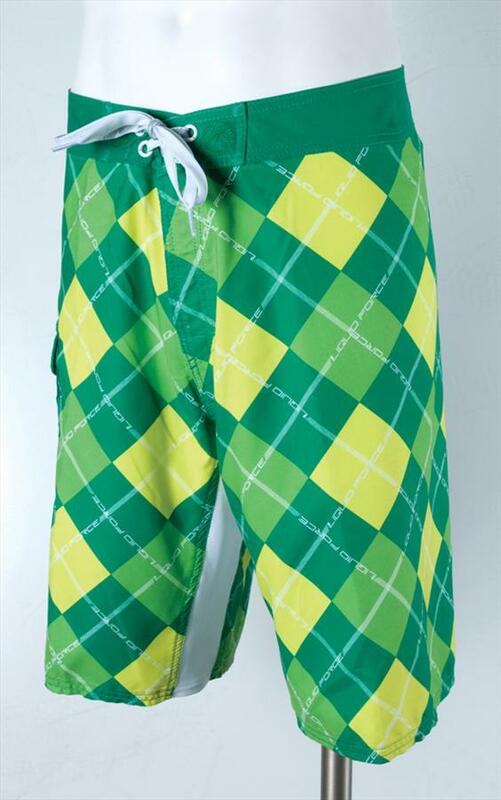 Liquid Force Sunny Boardshorts in Green, Size 8. Liquid Force Performer Boardshorts in Blue, Size 8. Liquid Force Burst Boardshorts in Orange, Size 8. Liquid Force Double Threat Boardshorts in Red, UK Size 8. Liquid Force Humming Bird Walkshorts in White, Size 8. Liquid Force Freeride Walkshort in charcoal available in 30 - 36" waist. Liquid Force Octagon Wakeboard Boardshorts in White Grey stripe graphics with Black detail ideal for size 36" waist. Liquid Force BOMBER Wakeboard Boardshorts in Turquoise - Black White Green detail 32" waist. Liquid Force Luna Boardshorts in Black, Size 8. Liquid Force Nu Lambretta Walkshorts in Black available in 34 - 38" waist. Liquid Force Butterfly Walkshorts in Black, Size 8. Liquid Force Drop In Boardshorts in Green, Size 8. Liquid Force Target Boardshorts in Tan, 34" waist. Liquid Force Selector Walkshorts in Brown, 36" waist. Liquid Force Fat Boy Boardshorts in Blue, 34" waist. Liquid Force Candy Stripe Boardshorts in Orange, Size 8. Liquid Force Burst Boardshorts in Green, Size 8. Liquid Force Butterfly Walkshorts in White, Size 8. Liquid Force Retro Spot Boardshorts in White, Small to Medium 32" waist. Liquid Force Humming Bird Walkshorts in Tan, Size 8. Liquid Force Burst Boardshorts in Blue, Size 8. Liquid Force Finish Line Boardshorts in Green, Size 8. Liquid Force Fusion Walkshorts in Black 33" waist. Liquid Force Steel Boardshorts in featuring 4 way stretch and welded seems in Blue, 36" waist. Liquid Force Sugar Daddy Boardshorts in Black, Size 6. Liquid Force Stealth Boardshorts in Grey, 32" waist. Liquid Force Double Threat Boardshorts in Yellow, UK Size 8. Analog Yuma D.O.S Boardies Men's size 33" waist. Liquid Force Board Games Boardshorts in Orange, 32" waist. Liquid Force Magnet Walkshort in green available in 36 - 38" waist. Liquid Force Octagon Wakeboard Boardshorts in Black Grey stripe graphics with Red detail ideal for size 36" waist. Liquid Force Performer Boardshorts in Orange, Size 8.